With employees working from everywhere these days, workers need to flex different skills to better collaborate. It is rare when every meeting attendee is able to sit in the same conference room, and, let’s face it, in the age of distraction, a presenter needs to do everything in their power to hold their audience’s attention—regardless of location. As offices and how we work continues to evolve, it isn’t necessarily the workspace that needs to evolve, but the technology that enables work to happen. Three years ago, we introduced our Intel Unite® solution, an affordable, PC-based, wireless collaboration solution to help Intel employees stop worrying about the technology you need to start and get a meeting going (dongles and cords and adapters—you know the pain) and get straight to working. The Intel Unite solution has come a long way since 2015. We have moved from an internal-only product that helped our Intel teams collaborate quickly, to empowering organizations of all sizes to do the same. From large multinational companies to smaller but dispersed companies, the Intel Unite solution has become an integral part of many of today’s modern workplaces. As the customer momentum continues, so do our efforts to add new capabilities aimed at creating a smarter and more integrated collaboration experience. Today at the Gartner Digital Workplace Summit in London, we showed our latest updates to the Intel Unite solution. 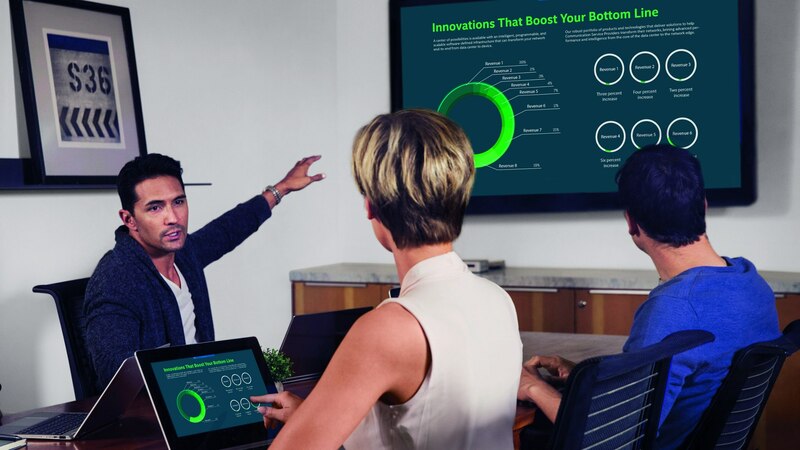 Simplicity: In addition to our trademark ease of use, Intel Unite offers the presenter the flexibility to control their content from a touch-enabled display in front of the room. Presenters are no longer tethered to a PC on the table, so meetings can become more dynamic and participants more engaged. Actions on the touchscreen (be it an interactive whiteboard, an All-in-One PC, or other Intel Unite-enabled platform) can be viewed by remote participants, as well, so collaboration extends beyond the conference rooms. Employees can be thousands of miles away and not have a diminished experience. Telemetry: We’ve expanded the telemetry capabilities for deeper levels of analysis; we have increased the data points from six to more than 20 with the telemetry plugin. Now IT can dig deeper and analyze feature usage (mainly on configurable features such as moderation, meeting lock, auto disconnect, file share, schedule meeting, etc. ); connectivity (reporting unexpected disconnects, connection errors, etc. ); and plugin usage (number of times plugins that were leveraged during a meeting). The data set is exportable to IT’s standard tools. IT can easily access this advanced insight from the Intel Unite Admin Portal. Automatic Over-the-Air Updates: This is an additional option for software deployment and we see this as a valuable choice for customers that do not have managed IT environments. With this feature, the meeting room hub and devices are refreshed automatically. Open Platform: Intel Unite® is platform agnostic; it works across iOS, Linux, Windows, Android, macOS, and Chrome. Its flexible architecture provides a significant opportunity for developers to build additional value to extend the collaboration experience via apps. We are releasing a new software development kit (SDK) to make it even easier for partners to build the right tools and enhancements on top of Intel Unite for the ultimate collaboration experience. Our new modular architecture supports HTML5 development, now developers can create dynamic displays with rotating content based on company news. Partner-created plugins show Intel Unite’s extensibility. At Intel, we are able to control cameras and overhead lights through the varied Intel Unite plugins. More than 20 partner plugins are currently available for Intel Unite and, with the release of the new SDK, we expect the number to continue growing. New partner additions include Spracht* for A/V conferencing, Cequens* for secure messaging, and AgilQuest* for meeting room bookings just to name a few. The latest Intel Unite® updates will be available late October. We’d love to speak with you about the value Intel Unite can add to your organization. Reach out to us at unite@intel.com. If you’re interested in learning more about how other customers are using Intel Unite, check out our case studies on our website at www.intel.com/unite. Michael Nordquist is the Director of Strategic Planning and Architecture in the Business Client Group. 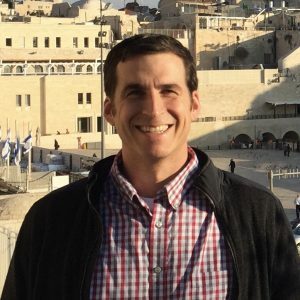 He has overall product planning and architecture responsibility for Intel’s business client platforms, including the Intel® vPro™ brand, across all desktop and mobile platforms. Nordquist has held a variety of sales, marketing, planning, and management roles since joining Intel in 2000. Prior to running product planning for the Business Client Group, he was the director of strategic planning focused on phones, tablets, and our Intel® Atom™ microprocessor. He holds a bachelor’s degree in electrical engineering from the University of Minnesota and an MBA from Babson College.